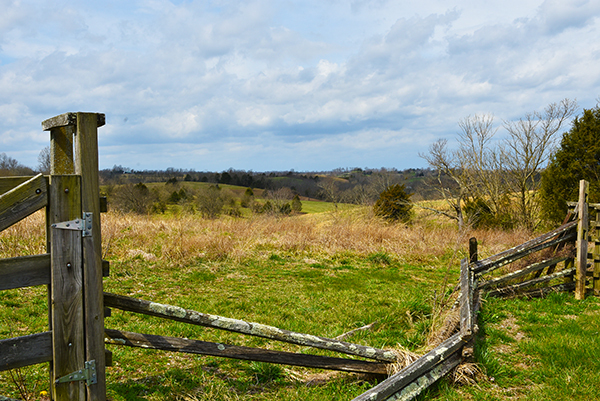 A deep drought fell over Kentucky in the fall of 1862. 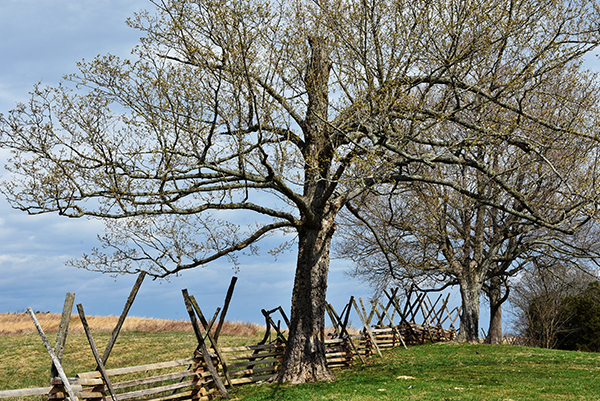 Rivers and creeks dried up, livestock suffered, and the Confederate and Union armies were desperate for water. 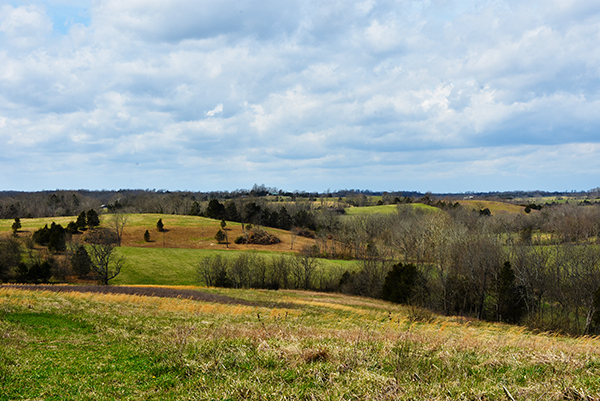 The only reliable source of water in Central Kentucky was Doctor’s Creek just outside the little town of Perryville. Here 72,000 soldiers from the two armies bivouacked and clashed in a one-day battle that raged over the rolling countryside. 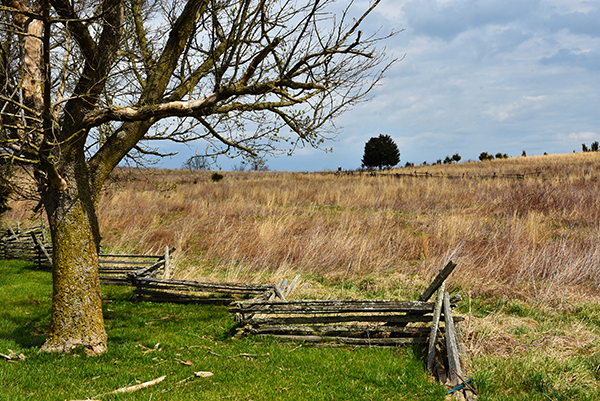 At Perryville 16,000 Confederates skirmished with 20,000 Union soldiers all around the hills. The countryside is so deeply carved and hilly that regiments couldn’t locate each other and often didn’t know the enemy was on the next rise. 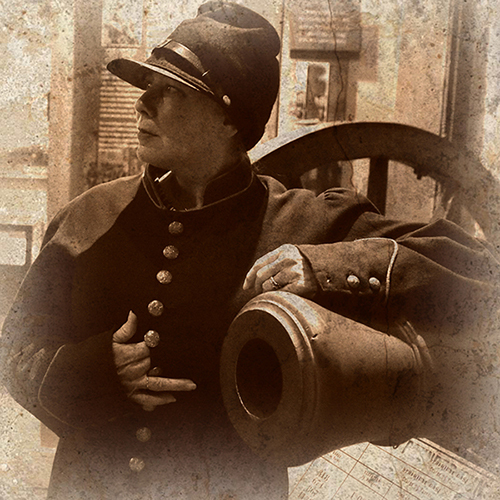 Adding to the confusion, the peculiarities of the landscape created a sound inversion where the noise of cannon and musket was deadened and unable to be heard even from a short distance. 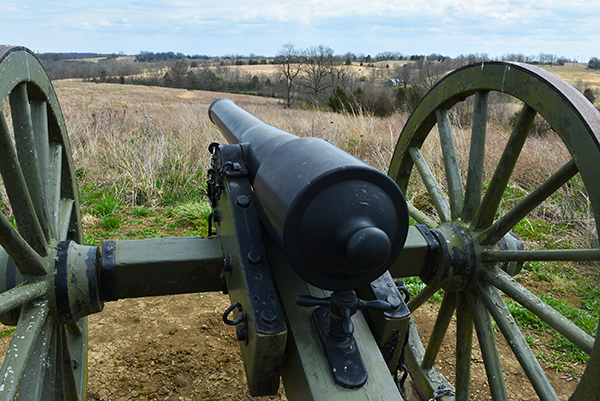 Just two miles away, 35,000 resting Union soldiers didn’t even know the battle was on. That gave the Confederates an even fight, facing a force of about equal numbers. 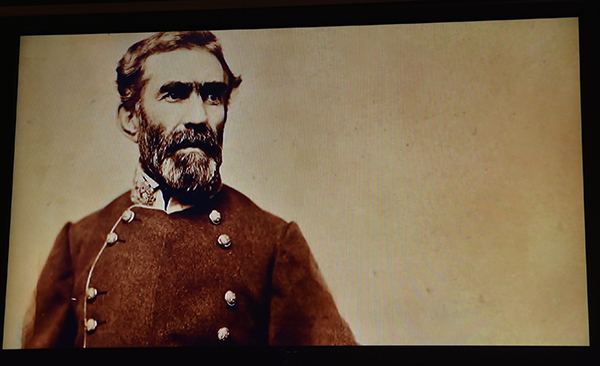 But by nightfall word of the true size of the Union troop strength reached the Confederate command and they left the area before morning, leaving the battle a draw with neither side successful. 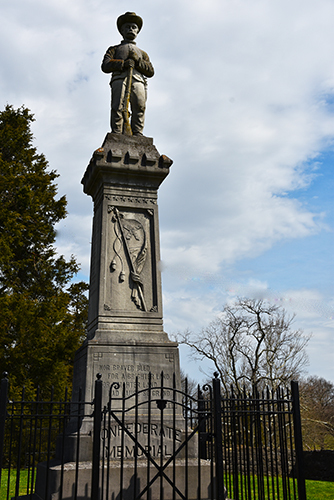 Ultimately history has declared the Battle of Perryville a Union victory only because the Confederacy never regained control of Kentucky again. But really it was a dog fall – a tie. 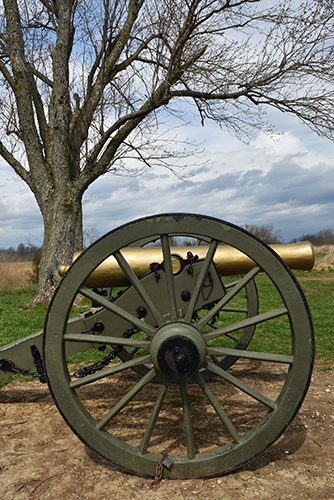 We visited the Perryville Battlefield Museum and learned all about Kentucky’s largest Civil War battle. 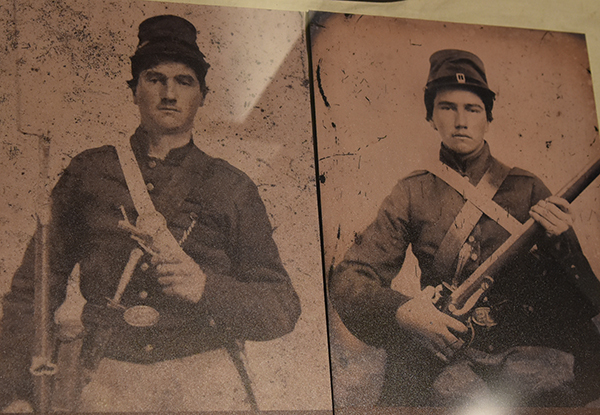 The museum presented a well balanced story honoring both the USA and CSA, although there seemed to be slight favoritism toward the Rebel side. 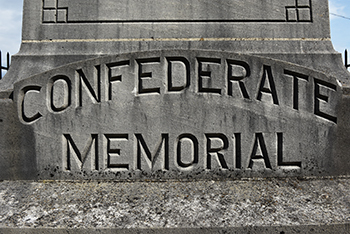 There is a big Confederate monument here, after all. A map of the battlefield was provided and you can drive a three mile loop to survey the grounds. Much of the drive is a gravel road that dips and rolls among the hillsides, giving you a good feel for just how deceptive this terrain is. Add in a few cornfields for cover and it’d be impossible to locate the enemy. 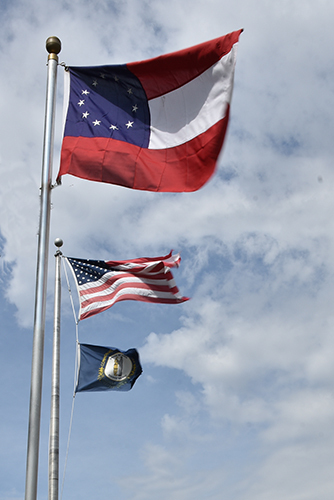 At Perryville we also learned that the Star & Bars is the true flag of the Confederacy. That other flag you see flying from pickup trucks and redneck porches was actually the rebel battle flag adopted later in the war. So next time you’re in a dead even heat with somebody, think of Perryville and the dog fall battle. And realize the other guy may claim victory, even if it’s really a tie. A swell place to visit!